A Tidepool Clinician account. 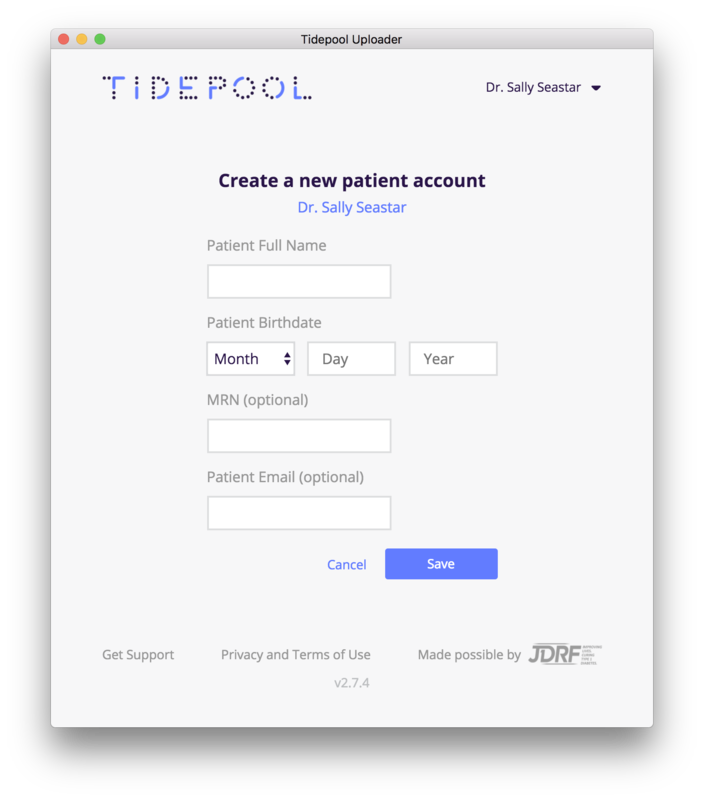 If you do not have a Clinician account, you can create one for free at tidepool.org/signup. 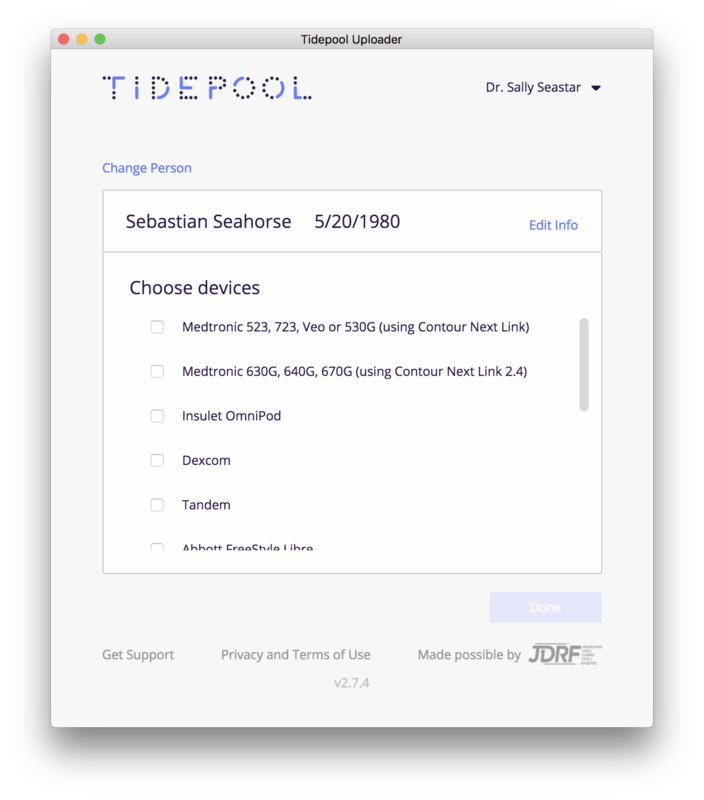 Installed the latest version of Tidepool Uploader. If you have not installed the Tidepool Uploader, you can download the latest version at https://tidepool.org/uploader. 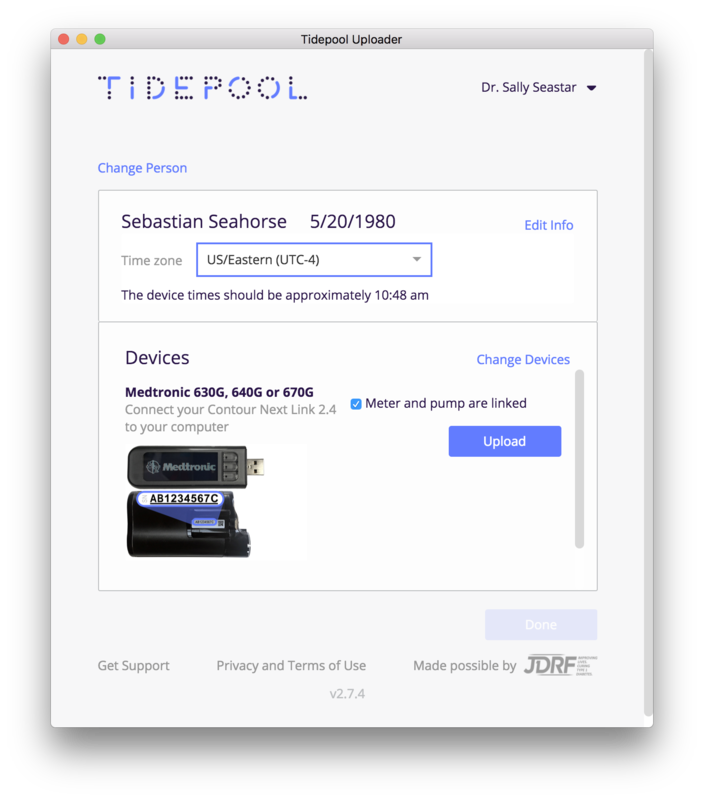 Send an email to clinic@tidepool.org if you would like to learn more about Tidepool for Clinicians and schedule a video demo. As a Clinician, you can create new patient accounts within Tidepool Uploader. 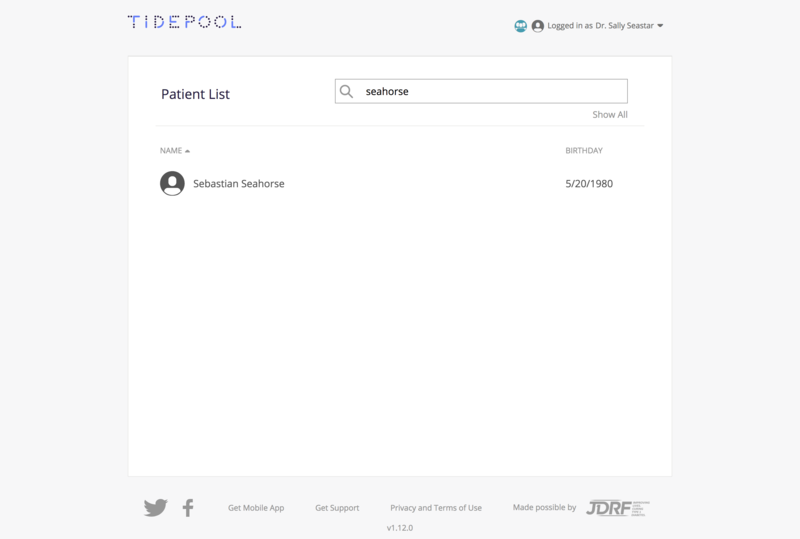 After you have logged into Tidepool Uploader, click "Add new" to create a new patient account. Name and date of birth are required to create an account. You can add the patient's medical record number for future reference. This field is optional. You can also add the patient's email. If you do, Tidepool will send them an invitation to access their profile so that they can upload and view their data from home. This field is also optional. Click "Save" to finish creating the account. You will then be prompted to select your patient's devices to upload. And set the time zone in Tidepool Uploader. You are now ready to upload your patient's diabetes devices to Tidepool. 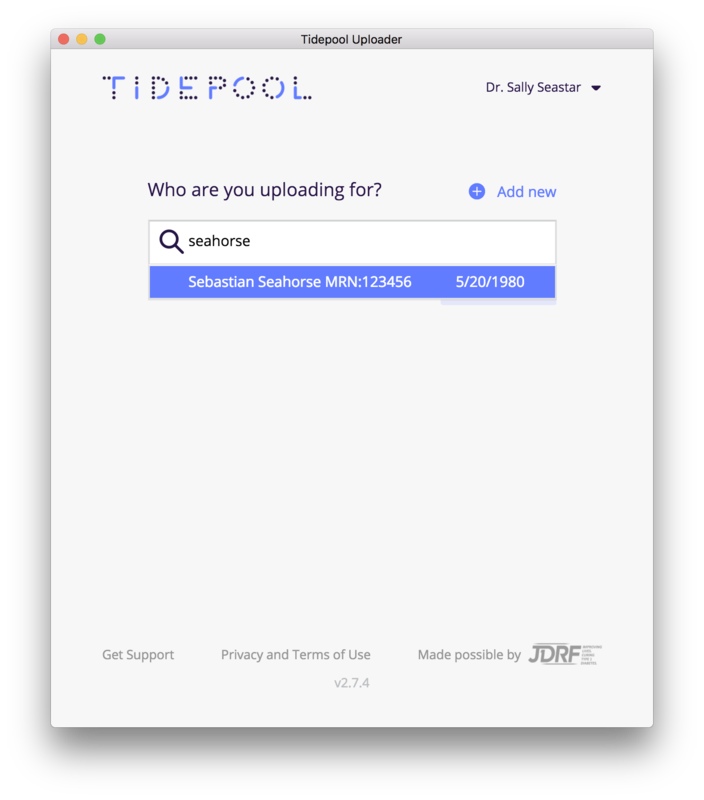 Please review the guides and walkthroughs for supported devices in Tidepool Uploader if you have any questions about the upload process for a specific insulin pump, CGM, or blood glucose meter. After the account has been created, you will be able to search for that account in Tidepool Uploader. And you will be able to search for that account when you log in to your account in Tidepool Web. Note: Accounts created through this process will automatically have their data shared with your Clinician account.